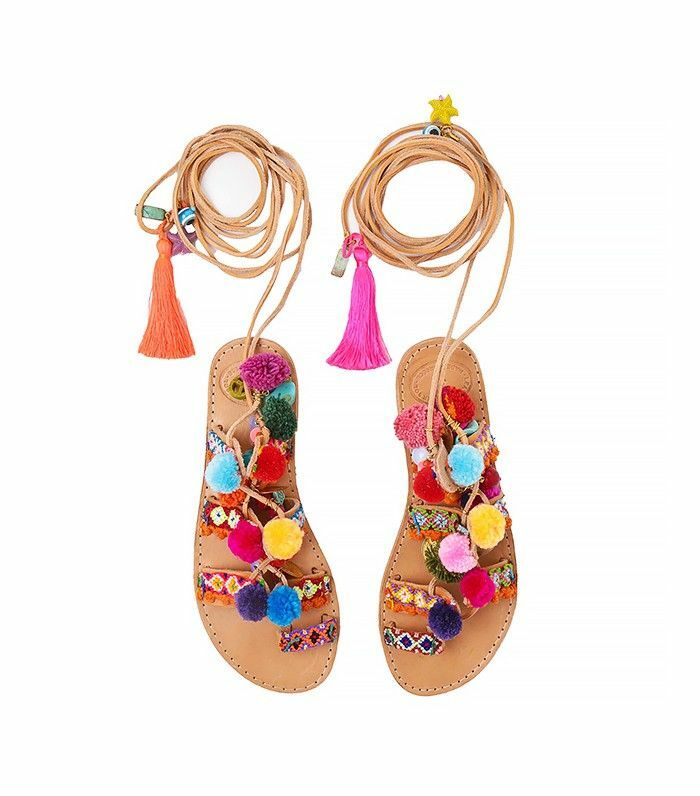 If you’ve ever travelled with a fashion lover, you likely already know that no matter the destination (Paris, Morocco, Cuba—we could go on) she always has her eyes peeled for unexpected treasures. Why is this a good thing? Whether it’s a vintage fringe jacket from a desert thrift store or a beautiful printed shawl from a European market, training oneself to be on the look out for meaningful, uncommon pieces to incorporate into your wardrobe can be the best way to cultivate your personal style. Even better, they tend to cost far less than designer goods. No complaints about that! Sans vacation plans? No biggie. We scoured our favourite websites that aggregate products from around the world so you can start integrating these one-of-a-kind gems into your look. Scroll down to see and buy our stylish finds! Scroll down for stylish ways to wear your finds! A vibrantly colored crochet cardigan looks dynamic aside modern black-and-white stripes. We can't think of a better way to enliven a button-down and jeans than with a beautiful embroidered piece like this one. Come spring, we'll be on the hunt for a patchwork-print frock like this off-duty model's. The kimono! The tassels! We love Sora Choi's look from head to toe. Can this be us, please? Dress up an exotic top and accessories with a pair of culottes and ankle-strap heels. A statement clutch at its finest. Woven accessories are great to stock up on for spring and summer. Keep a look out for carpeted outerwear—it looks great paired with denim and loafers. We're searching high and low for a printed maxi like this one. Introduce a bold bolero jacket to your wardrobe. What's your favourite piece you've bought while travelling? Tell us about it in the comments.